Twitter is a cesspool. 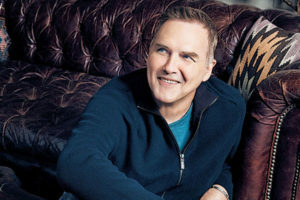 As if we needed more evidence, legendary comedian and acclaimed author Norm MacDonald was targeted for saying words to a reporter that a microscopic minority of humorless scolds didn’t care for. That’s all the pretext needed to subject a person, famous or not, to Twitter’s two-hour hate. The Hollywood Reporter interviewed MacDonald on Tuesday to preview his upcoming Netflix show. The affable Canadian politely spoke his mind. For better or worse, his mind works differently than the rest of ours, which is one of the reasons he’s so funny. This week’s podcast starts with me asking James what movies he’d like to be defined by — what he loves, what he admires, what he wants the kids to see, and how the movies affected him growing up. It’s Casablanca, Star Trek, Aliens, and Radio Days — and it’s a fun conversation. Join us, enjoy, and please share!